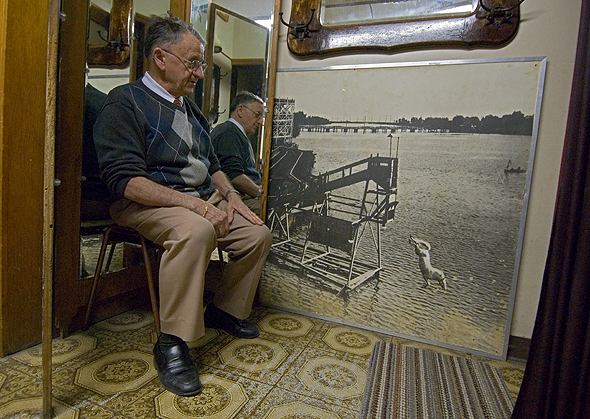 73-year old Frank Savazzi moved to Canada 42 years ago from Milano, Italy. At the tender age of ten, his mother encouraged him to become a tailor. He would attend school for half the day and spend the rest of his day learning the skills of the trade. "If I had a penny for every stitch I have made, I would be a millionaire many times," he jokes. 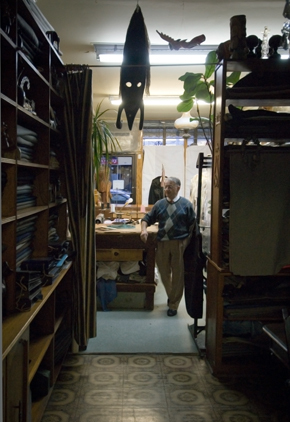 Frank has operated his tailor shop on Dovercourt Avenue for 35 years. Filled with eclectic items, many of which are Native American in origin, his shop is his abode and he can often be found sitting at his work desk attending to another repair. 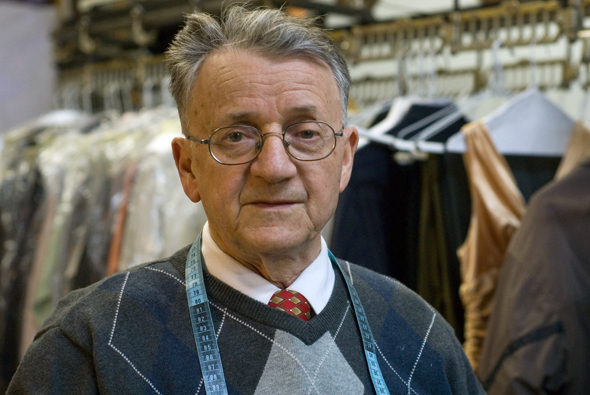 Earlier in his career, he was the main tailor for The Bay where he stitched all the 'made to measure' suits for the ten locations in Toronto. Family is very important to Frank. His first wife loved to do needlepoint and could speak four languages. He showed me around his home and we came upon a large piece that she had completed not long before her death. She had explained to him that she wanted to finish it so he would always remember her when he looked at it. She was a strong woman and during the two years of her battle with breast cancer, she had worried that Frank would not be able to handle the demands of raising three small children. She passed away at a young age of just 40-years old. Frank remained a bachelor for eleven years and focused on caring for his children and continued working in his trade. Frank is the father of a one girl and two boys. His oldest son carves marble fireplaces. Many of his orders come from California and even Brad Pitt owns some of his handiwork. He has five granddaughters and jokes, "I don't want to start all over again to have another boy in the family." His current wife moved here from the Philippines and has seven sisters and two brothers all living in Canada. She is fifteen years younger than him and he claims she keeps him young.